Holiday season is also the climax of football season, and as we get ready for all the bowls and playoffs, there are a number of great local sports bars to watch the games and enjoy some good beer. With so many local universities participating in one of the seemingly 900 bowls this season — from the Jags in Arizona, Auburn in the Sugar Bowl, Troy here at the Dollar General Bowl, and, of course, the Tide in the national semifinal on New Years’ Eve — there are ample opportunities to head out and have some beers and watch the game with friends. Across the bay, Baumhower’s in Daphne has long been a great place to watch a game, with loads of TVs and a great atmosphere. During bowl season, Baumhower’s, along with Bob Baumhower’s upscale restaurant Dauphin’s on the top of the Trustmark Building in downtown Mobile, are registering people to win national championship tickets. Baumhower’s also runs daily happy hour specials, and happy hour prices Sunday afternoon. Also on the Eastern Shore, not a lot of people may think of heading to Beef O’Brady’s, just off the causeway in Spanish Fort, but it recently remodeled and expanded its bar, and with 42 TVs, it is a great place to watch a game as well. 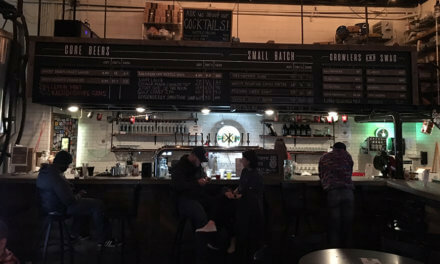 Its bar boasts 20 beers on tap, including some unique craft brews, such as Goodwood Bourbon Barrel Ale, from Kentucky, and Richter Pils from Goat Island Brewing in Cullman. 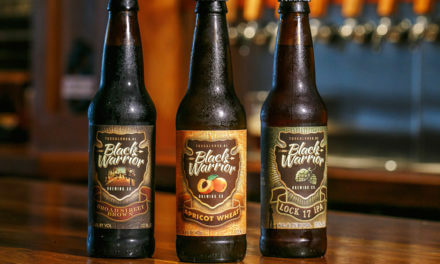 During Alabama games, it offers a $1 off Crimson Ale drafts, from Tuscaloosa’s Black Warrior Brewing Company. 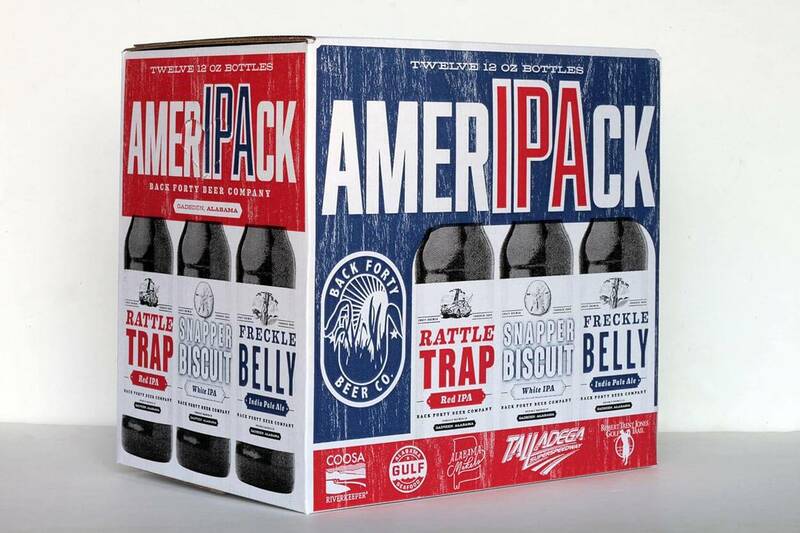 The red ale was not my favorite, bitter without a lot of flavor, but if you are a die-hard Crimson Tide fan, you might want to try to just to support the squad. In Mobile, the city’s standard sports bar for almost 20 years is Heroes downtown at 273 Dauphin St. (there is also now a second Heroes location, on Hillcrest, out by USA). In addition to being a great place to catch the college games, Heroes always has a crowd on Sunday afternoons filled with transplants from all over the country watching their favorite pro teams, as every NFL game is on. Heroes has daily specials, including $4 Bloody Mary’s and Blue Moon drafts on NFL Sundays. It also has a good variety of quality local and national beers on tap, including some of my favorites—Abita’s Andygator Dopplebock and California’s Stone IPA. They also regularly offer seasonal beers on tap; right now it’s Vanillaphant Porter from Birmingham’s Avondale Brewery. On the loop, Zander’z Sports Bar & Restaurant just opened at the start of this year’s football season. During the bowl games it will offer “football happy hour,” with $6 domestic pitchers and $1 pints. Its bar currently features 18 beers on tap, mainly standard macro brews, but it does carry some local favorites from the Fairhope Brewing Company and Gadsen’s Back Forty Brewery, including its Truck Stop Honey, which, despite its name, is not too sweet at all, but a lighter ale that goes great with a sandwich. When its expansion is completed, I’m told there will be a whopping 42 beers on tap at Zander’z — and when that happens, I’m going to be there to check it out. Hope all your teams win and you have a great holiday season and a happy New Year!